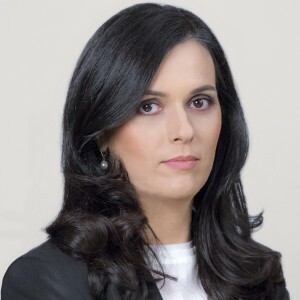 Cosmina Simion is an intellectual property, regulatory and technology lawyer with more than 20 years of professional experience, with expertise in various industries, with a particular emphasis on the media and entertainment, online and gambling industries. Co-head of the Gaming and Consumer Protection practices, together with Ana-Maria Baciu, she combines her strong advisory expertise acquired during her coordination roles in leading law firms with the specific approach built during her in-house role (at a US group, leader in the regional media sector). Throughout her career she coordinated teams of specialists in complex licensing procedures, acquisitions and tenders. Cosmina also advised on privacy/protection of personal data matters and coordinated cross-border mergers & acquisitions transactions in the industry sectors she focuses on. assistance to an American software corporation, global leader in 3D design, engineering and entertainment software on the intellectual property aspects in the context of a complex transaction involving the acquisition of software companies within one of the largest corporate groups developing software solutions for industrial and civil constructions, integrated CAD solutions, structural analysis etc. The software solutions developed by the target group was the main focus of the transaction. assistance to several software development companies, as well as private equity funds, in relation to the protection of intellectual property, drafting and negotiating software and trademark license agreements, joint venture agreements, assignment agreement, SaaS agreements etc. assisting worldwide pharmaceutical companies with drafting template agreements to be used with suppliers, marketing partners, etc. Selected credentials listed above include some of Cosmina’s work prior to joining NNDKP also.